Caucus Roles: Spokesperson for Health, Seniors, Labour, Gaelic Affairs, and the Public Service Commission; NDP Caucus Whip. Bio: Tammy Martin was elected as MLA for Cape Breton Centre on May 30, 2017. Tammy was raised in New Waterford as part of the Kennedy Family from "Up 12" where she continues to live with her partner Paul and her daughter Baillie. Tammy was an employee at the Nova Scotia Health Authority in Sydney for close to twenty years. Currently, she is on staff with the Canadian Union of Public Employees as a National Servicing Representative. Tammy also served on her local union executive as both President and Vice President. Tammy has a long history of community service. She has volunteered as a coach, parent volunteer and sat on the board of directors for the Coal Bowl Classic. Tammy has also volunteered with her local church, school groups, and as a canvasser for local charities. Caucus Roles: Spokesperson for Communities Culture and Heritage, the Film & Television Incentive Fund, Transportation and Infrastructure Renewal, Energy and Mines, Community Services, African Nova Scotian Affairs, and 2SLGBTQ+ Affairs; NDP Caucus Chair. Bio: Susan Leblanc was elected as MLA for Dartmouth North on May 30, 2017. She cares deeply about the community of Dartmouth North, where she is raising her two young children with her partner. An active community member, Susan has sat on the board of the Ropeworks Community Garden (on Pelzant Street) and volunteers with her local childcare centre. You can often find Susan and her family at Monday night suppers at the Dartmouth North Community Food Centre and at many playgrounds in the neighbourhood. Originally from Prospect Bay, Nova Scotia, Susan has performed on stage and film for over 18 years, including as a lead member of Zuppa Theatre Company. Susan has represented our local theatre scene nationally and internationally and mentored countless young artists. She has also served on the board of the Mayworks Festival, Theatre Nova Scotia, and the St. Patrick’s Church Refugee Committee. Susan is committed to our community and will stand up for the people of Dartmouth North. Caucus Roles: Spokesperson for Justice, Finance and Treasury Board, the Human Rights Commission, Business, Rural and Regional Economic Development, and Education and Early Childhood Development; NDP House Leader. Bio: Claudia Chender was elected as MLA for Dartmouth South on May 30, 2017. She lives in the flower streets along with husband Jamie, and their three young children. As the owner of a commercial property on Portland Street focused on finding local businesses as tenants, she is also a strong advocate for the promotion of Downtown Dartmouth. Claudia is active in the Dartmouth South school community as a member of the Hawthorne School Home and School Association, and the Downtown Dartmouth Business Commission. A trained lawyer, former legal educator with the Nova Scotia Barrister's Society and associate publisher of a non-profit media group, Claudia has a wide range of experience to help serve the Dartmouth South Community. Caucus Roles: Leader, and spokesperson for the Premier's Office and Executive Council and Intergovernmental Relations. Bio: Gary was elected Leader of the Nova Scotia NDP in 2016. He has spent his life working in communities around the province. He was elected as MLA for Halifax Chebucto on May 30, 2017. Gary is a United Church Minister and was MLA for Colchester-Musquodoboit Valley from 2009-2013. A graduate of Queen’s University and Harvard, Gary has worked as a community organizer, a writer, and an editor. He has published books in poetry, political economy and oral history. Gary is married to Debbie Perrott. Gary and Debbie live on Poplar Street and they have four grown children: Clayton and Rosanna are musicians and members of the band Hillsburn; Eva is a clinical therapist in addictions; Fred is a community organizer and historian. 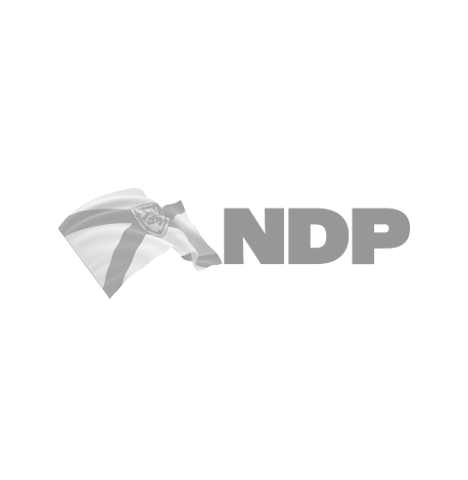 Caucus Roles: Spokesperson for Immigration, Housing, Acadian Affairs, Communications Nova Scotia, Lands and Forestry, Fisheries and Aquaculture, Internal Affairs, and Municipal Affairs; NDP Deputy House Leader. Bio: Lisa Roberts was elected as the MLA for Halifax Needham in August 2016, and re-elected in May 2017. Lisa is committed to supporting everyone in our community to access the services and resources they need. Prior to being elected, Lisa was the Executive Director of Veith House and worked as a facilitator of the North End Community Circle, which brings people together through community meals, barbecues, workshops and community gardening. She also played an important role in fostering communication and collaboration amongst North End non-profits and other service providers by initiating a monthly roundtable. Lisa’s work has led to community-based projects in Halifax-Needham, like the community garden on Needham Hill and Future Roots, a program that employs youth to provide services for older residents of the North End. Lisa was a founding board member of the North End Opportunities Fund, a non-profit that enables low-income children to attend summer camp. Lisa also worked as a journalist, including five years with CBC Radio’s Information Morning in Halifax. She has a Masters in Development Economics from Dalhousie University. She and her partner, Andrew, have two children and live in Halifax Needham. Caucus Roles: Spokesperson for Aboriginal Affairs and the Truth and Reconciliation Commission, Service Nova Scotia, Agriculture, Environment and Climate Change, Status of Women, and Advanced Education. Bio: Lenore was first elected as MLA for Truro-Bible Hill-Millbrook-Salmon River in 2009, and was re-elected in 2013 and 2017. She is a passionate speaker known for her openness, integrity, and willingness to listen to opposing members. Lenore is a tireless advocate for education, the environment, First Nations and women’s rights, mental health, poverty eradication, culture and heritage, and the arts. Lenore is also an award-winning actor with 33 years of experience in film, TV, radio, animation, and theatre. She has received a Duke of Edinburgh Gold Lifetime Award for Service to Community and Country. Here in Nova Scotia, we could be doing so much better than we are. Stephen McNeil’s Liberals have cut left, right and centre – making things harder for everyone, and telling us what they can’t do. • We can invest again – in our hospitals, our communities, our schools. • We can make a good education something young people can actually afford. • We can make sure every job pays a decent wage. • We can see to it that kids in our province don’t have to go to food banks.